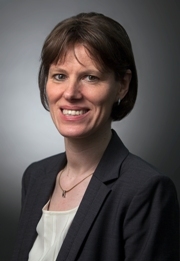 Anjolein Schmeits joined New York University Stern School of Business as a Visiting Assistant Professor of Finance in September 2005 and became a Clinical Associate Professor of Finance in September 2008. She is now a Clinical Professor of Finance. She teaches "Corporate Finance" in Stern's full-time M.B.A. program and the Langone program, and "Valuation" and "Corporate Finance" in the Executive M.B.A. program. Professor Schmeits's research focuses on the interface between financial intermediation and corporate finance. In particular, she examines the economic role of financial intermediaries such as banks and credit rating agencies, and analyzes how the organization and competitive structure of the financial sector affect contract design and firms' financing choices. In addition, she is interested in the design of effective corporate governance arrangements within firms and industries. Her research has been published in the Review of Financial Studies, the Journal of Financial Intermediation and other journals. She has participated in several policy-oriented research and consulting projects on the functioning of banks and capital markets in the Netherlands and on the financing of the Dutch corporate sector, and has co-authored a book and many studies on these topics. Before joining NYU Stern, Professor Schmeits was an Assistant Professor of Finance at the Olin Business School of Washington University in St. Louis, where she taught advanced corporate finance courses in the undergraduate, M.B.A. and Executive M.B.A. programs. She has received several teaching awards, most recently the 2008 Excellence in Teaching Award in Stern's Executive M.B.A. program. Professor Schmeits received her M.Sc./B.S. degree, with highest honors, in Economics from Tilburg University, and her Ph.D. in Finance from the University of Amsterdam. She was a visiting scholar at Indiana University during her Ph.D. studies.